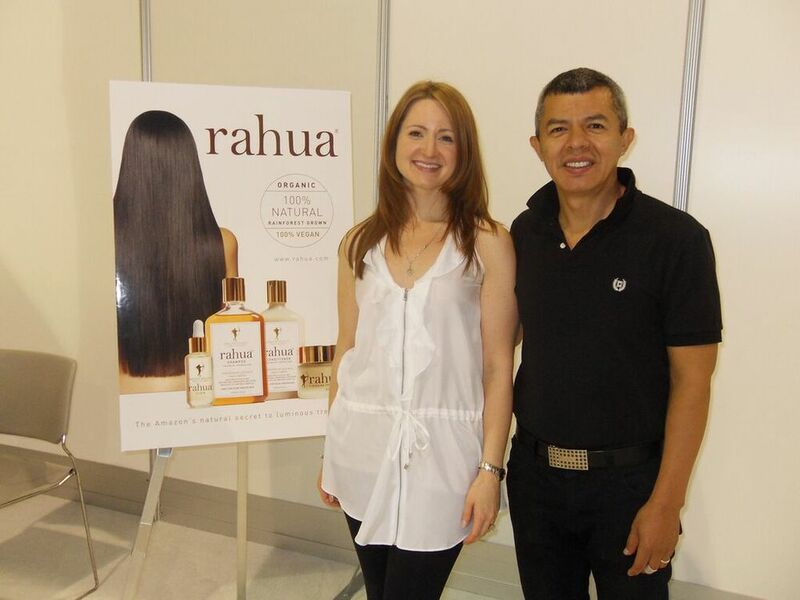 I first met Anna Ayers and Fabian Lliguin back in 2007 when they introduced me to the best kept secret from the Amazon Rainforest – Rahua Elixir, a coveted hair oil that helps promote longer, stronger hair. Since, I've had the pleasure to watch their brand expand and hear all about their trips to the rainforest, where they find the purest ingredients. If you were to start every day with an intention what would it be? To start each day with the goal of reducing the carbon footprint for our family and our company. You’ve been providing women with natural hair care since the early ’90’s, what inspired you to do an all-natural line at that time? The Amazon rainforest was the inspiration for creating our hair care collection. After seeing the results of pure, potent serums made with ancient knowledge we wanted to stage these beautiful handmade ingredients with 100% natural ingredients to show off the transformative capabilities of Mother Nature. Now that the demand for natural products is high, how has Rahua changed over the years? We are so pleased that consumers are seeking more high quality, natural products. Part of Rahua’s ongoing evolution is to continue to innovate by using the most effective natural ingredients in our formulas and continue to elevate product performance. During the last few years Rahua has gone gluten free and has introduced more exclusive rainforest grown ingredients. What’s one thing you want the world to know about the women of the Amazon rainforest? Their lives are on the line, their knowledge of the forest has allowed them to keep the Amazon rainforest in tact for thousands of years. They are the ultimate green power. You’ve been so successful! What are you most grateful for? The support of our clients, our friends and our families, and of course the people in the Amazon rainforest. Do you practice beauty from the inside out, too? If so, how? Yes, true beauty comes from happiness - keep smiling and laugh a lot. What’s your best piece of haircare advice for women? Get your hair cut by a well trained professional hair stylist, a great cut will simplify your life! What are your favorite spots in NYC? Beauty is Power of course! That is our tag line and has meanings on so many levels, but our favorite is through our company, Amazon Beauty and the Rahua brand, beauty is our means to create awareness and preserve the Amazon rainforest.